I had the pleasure to spend time with Australian author, Jacqueline Harvey. She’s an amazing literary talent (and storyteller!) who wrote the ALICE MIRANDA series [Random House]. New York City is just one Jacquie’s stops on her speaking engagements at schools across the country. 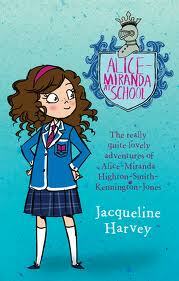 And based on what I saw at my school, everyone LOVES Alice Miranda, as she appeals to both boys and girls of all cultures. Oh…on Saturday, Jacquie has agreed to an interview to tell me ALL about her travels.